The Players Championship is considered the 5th major of the PGA Tour. The prize pool increased 13% this season to a massive $12.5 million, which is the biggest prize pool …. First of all check out my 6 outright winner picks for The Players Championship this week. There’s a bit of overlap, as to be expected. The Players isn’t a Grand …. 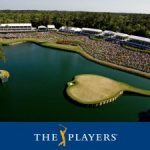 The Players Championship is considered “the fifth major” by Tour Pros and with the big prize pool the best always show up to take part at TPC Sawgrass. This year …. One of the favorite stops of the season is finally here, THE PLAYERS. This annual event is steeped in tradition as it’s held at the same course (TPC Sawgrass) year ….